Cute Jewellery by Chelsea Doll: A/W 2010 - Sneak Peek! What a treat we have in-store for you! Although, we're in the middle of Summer (which will hopefully last a lot longer yet! ), we've started thinking about our Autumn/Winter ranges. And instead of keeping these absolute beauts to ourselves, we've dedided to give you a little looksy (only a preview, mind! ), as and when we come up with them. So, drumroll please... we have a two new additions to the Chelsea Doll family in the form of Brooches and Hair Accessories, yay!! Brooches are so on-trend right now and we love how elegant they can make an outfit, adding a hint of glamour to even the rockiest of looks. 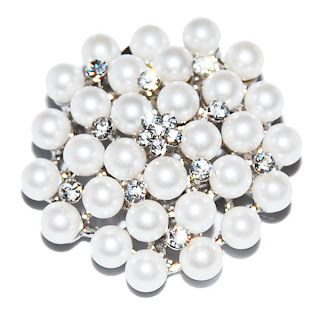 Currently, there are three brooches in the range but we'll be adding more when the A/W 2010 season kicks off. Take a look here. Hair Accessories are probably the most daring step we've taken since launching the site, but we couldn't resist. 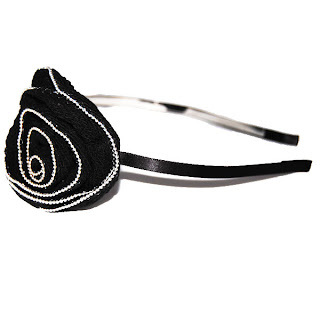 We're completely and utterly in love with them, whether it be Hair Clips, Headbands or Alice Bands, they're fantastic! As with brooches, we have three in the range at the moment, but will be adding more on later, we promise. To view our Hair Accessories, click here. So that's it folks, but expect more from us over the next couple of months when our A/W ranges come in thick and fast.